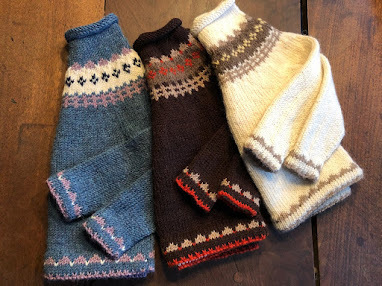 It comes as no surprise that an industrious knitter has written a pattern that mimics Elizabeth Zimmermann's popular Baby Surprise Jacket baby sweater in garter stitch. 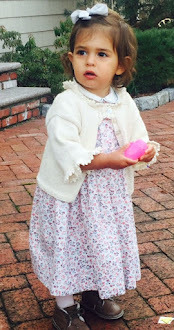 This little knitting pattern is probably one of the most popular all time knitting patterns. 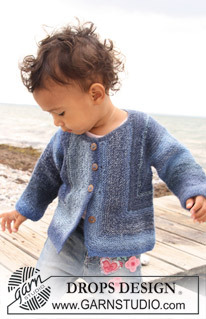 Knit sideways, the free pattern for BSJ look-alike is available in sizes 1/3 - 6/9 - 12/18 months (2 - 3/4 - 5/6) years. Link below. 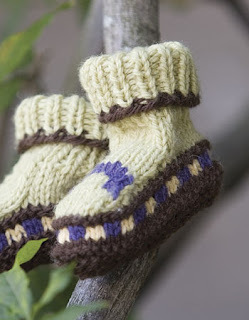 These baby booties or baby socks are just the cutest free pattern from Classic Elite by Edith Murphy. 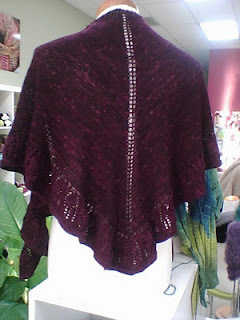 Knit on a size US 6 (4.25 mm) needle, the pattern is a sweet find and a free download. Gauge is 22 sts = 1 inch, so they'll be finished in no time at all. The booties require 50 g of DK yarn and bits and pieces of stash yarn for the three other colors. So cute and useful for baby gifts. One size = 4 inches or 6 months.